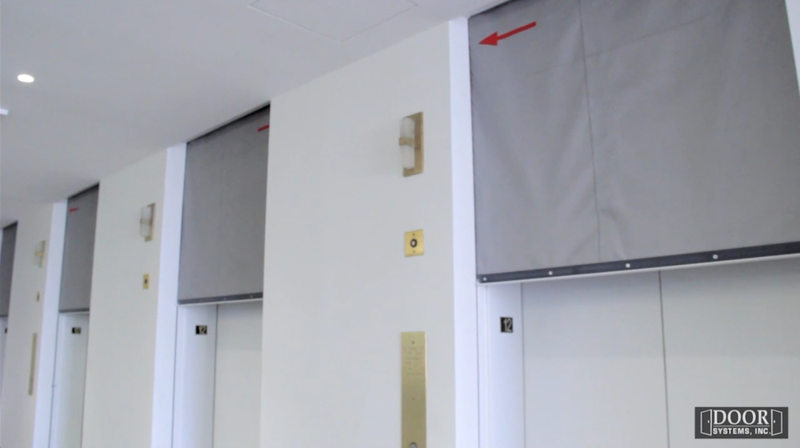 A cost effective and architecturally pleasing solution to elevator shaft smoke protection. A proven system that meets all code requirements. 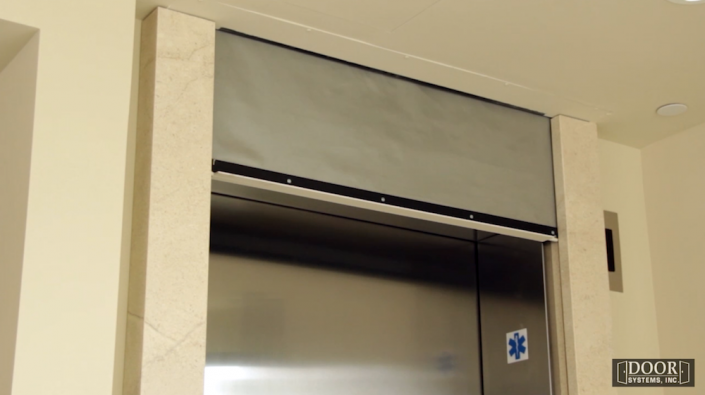 Unlike other products on the market, the DSI 600 elevator smoke containment system is also fire rated. The DSI 600 system carries a UL10D one hour or two hour fire protection curtain system label, UL 1784 smoke migration and S label, California State Fire Marshall listing, and ICC ESR Report. The DSI 600 system also has OSHPD approval and has Los Angeles City Fire Department acceptance for high rise applications. 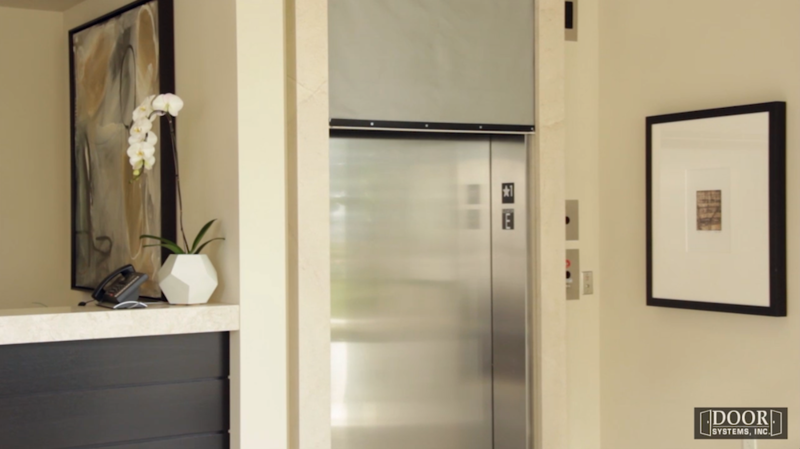 The smooth controlled descent of the DSI 600 system works on a gravity fail safe technology that requires no power to close and is fully synchronized with the building’s fire and life safety system. The DSI 600 elevator smoke containment system by Door Systems®, incorporates a battery back-up feature with an emergency curtain up button located on both sides of the elevator cab. 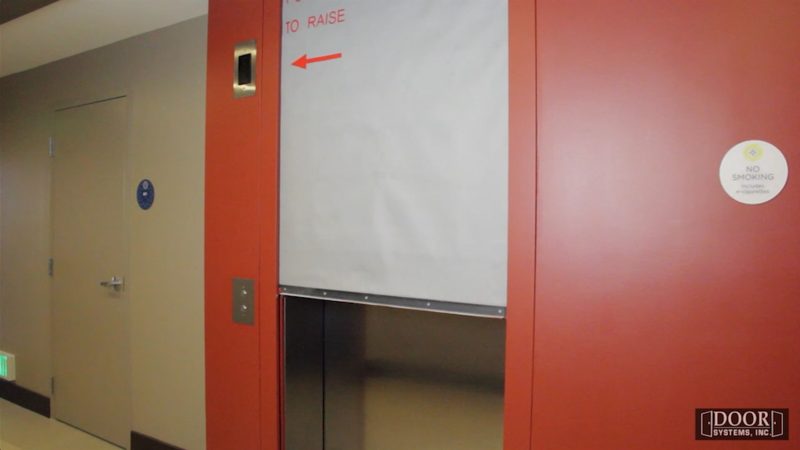 This insures easy access from either side of the elevator cab in an emergency situation. When the button is depressed the curtain will automatically deploy back down to the closed position until the fire alarm is cleared. Low profile side guides ensure against movement or blowout during extreme pressures caused by fire conditions. The technologically advanced fire resistive fabric is concealed in a compact overhead housing that takes as little as 7 1/8′ of headroom. 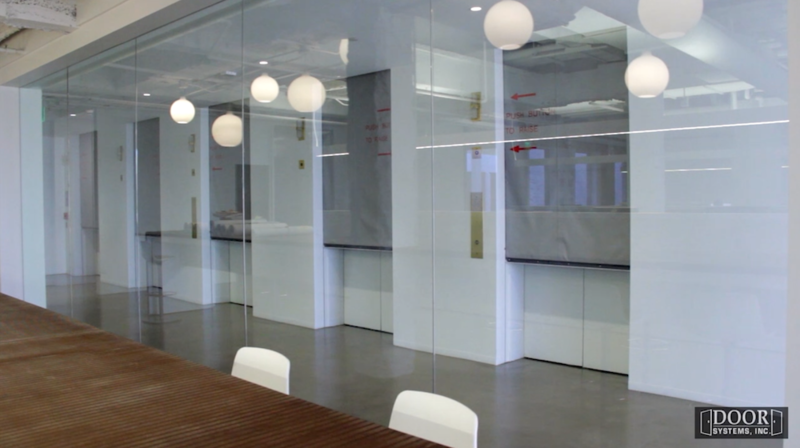 It is virtually invisible when in the retracted position. Custom sizes available for any elevator size.